It’s hard to tell whether you can even classify Telltale’s work as games anymore. Yes, there is interaction, there is player agency and there is even some semblance of gameplay, but at a certain point, it ceases to be a “video game” and starts to be a “lightly interactive movie.” We’re not quite there yet, but The Lost Lords, the latest episode of Telltale’s Game of Thrones series, walks a fine line and nearly tumbles over into Dragon’s Lair territory. It’s not significantly different than the first episode in its style of interaction, but now that there’s an established story with actual momentum, there’s just less reason for the game to offer you chances to go off the beaten path. Still, all the same problems from the first episode are present and accounted for here, including an ugly presentation, amateurish animation, technical problems, achingly slow pacing and the simple fact that your choices so rarely matter at all. The Lost Lords isn’t afraid to introduce new characters or bring back unexpected old ones, and that helps keep the episode feeling a little more dynamic than might be expected; you’re not just watching the same pieces shuffle around the chessboard. As teased at the end of the last episode, players begin as Asher, the blondest and most rebellious Forrester son, as his uncle searches to bring him home — regardless of whether or not you chose to send him in the first episode. Asher is the typical Han Solo archetype, an outlaw with a heart of gold who meets danger with little more than a rogueish grin and his stylish haircut. He’s got an interesting relationship going on with his more dangerous mercenary partner, Beskha. They’re flirty, but independent, kind of like a less hostile version of the relationship between Joel and Tess from The Last of Us. It’s a good dynamic, one that would’ve been preferable to explore instead of jumping straight into a terrible quick time event fight scene. The basic actions range between boring and frustrating. On the boring end, you’ll need to press left or right when an arrow comes up or tap a face button, which is easy enough that you’ll be able to watch the fight scene at hand, at least. On the frustrating end, occasionally an icon will appear in-world — on a person’s head, on a dagger, etc. — and you’ll need to move a circle over it and press a trigger button. That’s probably not all that difficult on a mouse, but with a controller, trying to line up that circle with the analog stick over a moving target and hit the button at the right time just isn’t fun or satisfying. There are also occasional timed button prompts where a circle will close in around the required button icon, a mechanic you might want to treat like a rhythm game and assume that you’re meant to hit the button the moment the circle finally rings the button, but really, you just have to sit back and ignore it because it’s just a fancy visual for a standard button prompt. This led me to a series of five or six deaths, each one causing the game’s music to cut out jarringly before being sent to a game over screen in silence. Quick time events are nothing new, but the ones presented here are decidedly bad. 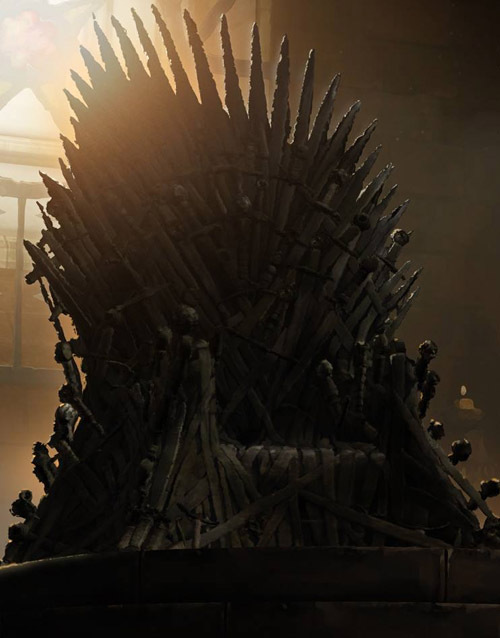 From there, you’ll take over a character that returns unexpectedly to fulfill the place of Ethan in the prior episode, tasked with dealing with the Whitehill occupation of Ironrath and taking over lordship of House Forrester; you’ll also check in on the continuing adventures of Mira and Gared as they deal with the lethal political machinations of King’s Landing and the icy roughness of the Night’s Watch, respectively. Your time with these characters will mostly be spent engaging with the game’s dialogue system wherein you’ll have limited time to respond to (or deliberately abstain from) conversations as they play out. The majority of these dialogue options are just for flavor, a way for you to define who you want your characters to be and how they will act, but to the game’s credit, occasionally these conversations will have real consequences. There’s a particularly well-done scene where your character attempts to ensure that his betrothal is still in effect in light of recent events as it could be a determining factor in the survival of House Forrester; the outcome of this scene is decided by how you approach the situation in its entirety rather than one bolded choice. 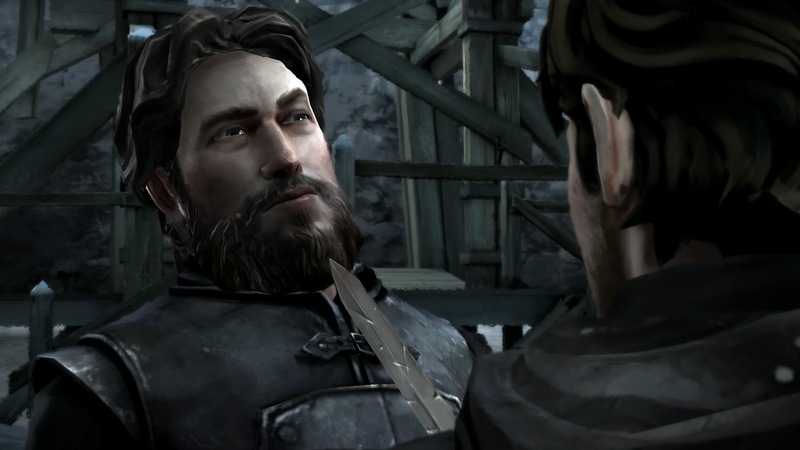 Of course, given the way Telltale handles choices and divergence, there’s little confidence that the consequence will have any real meaning in subsequent episodes as all outcomes get folded into the same generic path, but it’s admittedly a well-done scene regardless. It’s just too bad that the imprecise nature of the conversation system, where you’re presented with a summary of what a character might say rather than exactly what will be said, can lead to frustration as your character says something that doesn’t line up at all with what you thought they’d say and your outcome suffers as a result. Beyond sparring swords and words, the only other real interaction in The Lost Lords is to walk around and examine stuff. In a game like Grim Fandango Remastered, you’re inspired to engage with every little thing thanks to witty dialogue and your character’s interesting musings about the world around him. In The Lost Lords, it’s a chore. As Gared, you’re given the option to walk around a small training area in Castle Black, and one of the objects you can examine is a door labelled “Mess Hall.” The only option is to look at it, and when you do, Gared says, “that’s the Mess Hall,” which has to rank highly as one of the all-time most redundant lines of dialogue in gaming. “Wish they’d serve more than stew there,” Gared continues. In the genre where writing matters most, Telltale completely drops the ball with trite, uninspired dialogue, which is especially surprising given that the word count of the source material now measures in the millions. 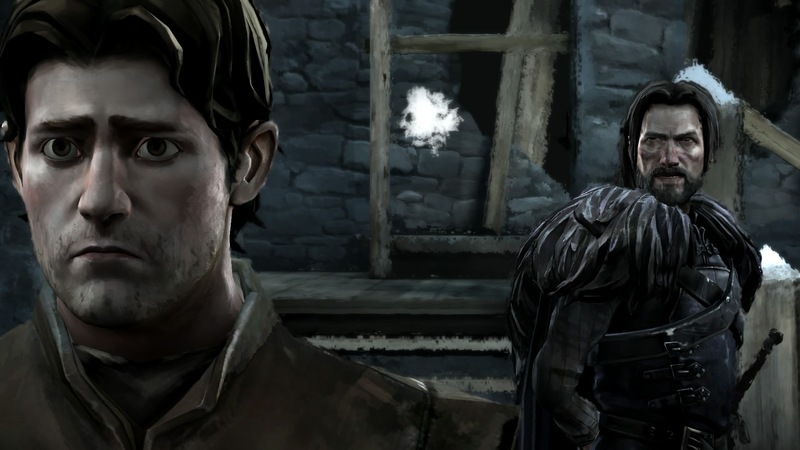 There’s an overabundance of beautiful, if dense, language to draw upon when writing the script for these games, but Telltale’s writers just aren’t up to the task. The Lost Lords isn’t exactly solid on the technical front either. While there were plenty of bugs and glitches being reported with the first episode, I didn’t encounter that many during my playthrough. The Lost Lords was much worse for me, however. The animations — which already remind me enough of the stilted, cartoonish work we did in my Intro to Computer Science class in college when they do work properly — hitched in nearly every scene and had a general jerkiness to the motion that distracted throughout. The sound was worse, with music abruptly cutting out, sound effects skipping like a dropped CD player, and dialogue that was either out of sync, looping, or duplicated on a delay. 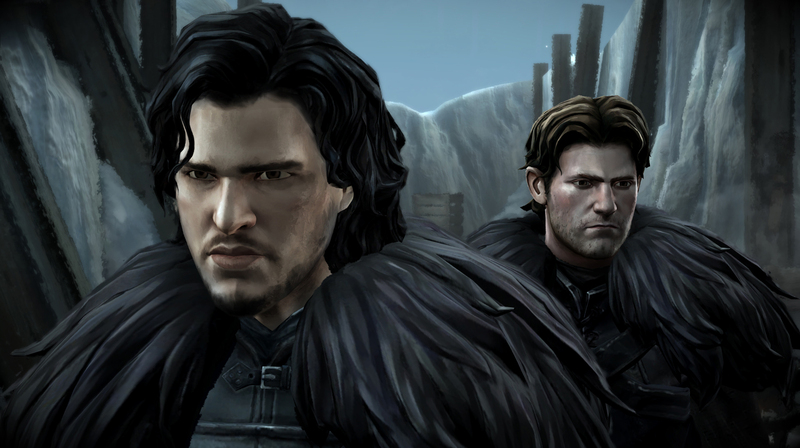 At one point, a character in a cut scene failed to load in completely, then suddenly popped in as Gared approached him. These issues would be bad enough if this was Telltale’s first game of the type, but these are the exact same types of issues I had with Telltale’s first game of the type, The Walking Dead, three years ago. It’s simply not excusable anymore. It’d be easy to overlook the The Lost Lords‘ myriad issues — the awful presentation, the lack of true divergence, the general lack of polish — if it weren’t for its biggest problem: it’s boring. Even for diehard fans of the show or books, there’s little to glean from these first two episodes so far. The first episode had a cool moment where you get to wither in the merciless gaze of Cersei, and this second episode has an interesting discussion where Jon Snow asks Gared about the events of the Red Wedding, and that’s it. There’s no gameplay hook to latch onto and the writing and pacing both leave a lot to be desired. 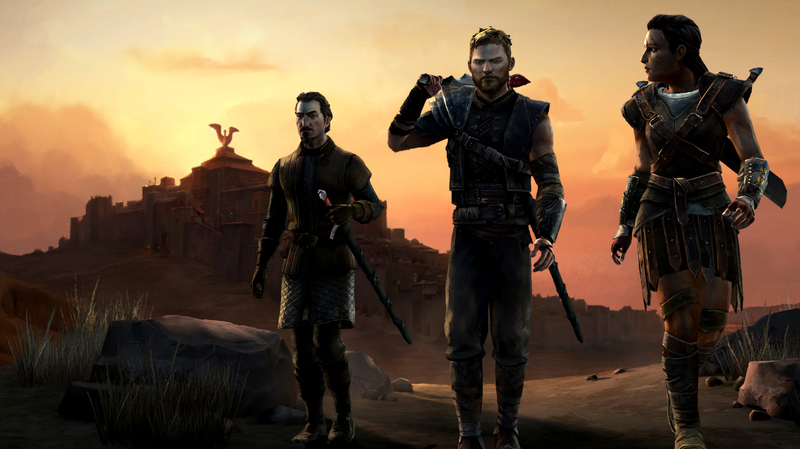 With better episodic adventure games coming out like Life is Strange that prove the genre can be fun, interesting and attractive, there’s little reason to waste time with Telltale’s Game of Thrones series thus far.